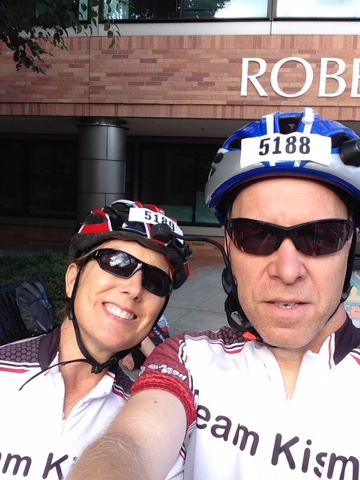 Over the last three months, Suzanna and I donned out bike jerseys and shorts, grabbed our bikes, and trained so we would be ready to ride 50 miles on Sunday, August 9th. 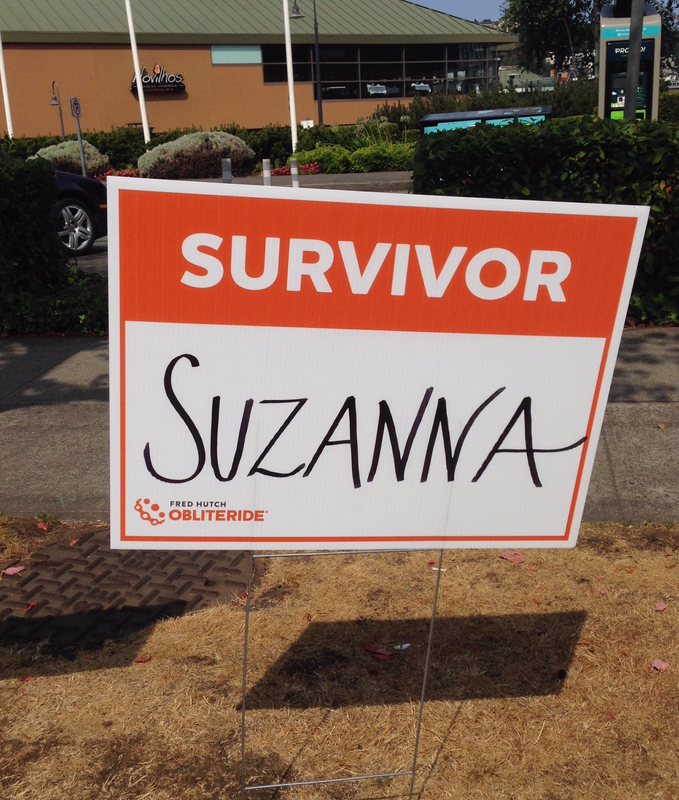 Well, Sunday came around, the weather was sunny (but thankfully not too sunny), and Suzanna and I had a great time pedaling 50 miles in Obliteride 2015. More important that the athletic challenge of riding 50 miles was the fund-raising. We used social media and a few emails—sorry if we annoyed you—to ask our friends and family to donate to the cause. And thanks to the generosity of our friends and family, we managed to raise $4000 for life-saving research at Fred Hutch. Thank you so much, donors, for your generosity. It was a truly great weekend. On Friday, was the kick-off party with food, drink, music, and a chalk board to write dedications for the event. the car, and made our way to the starting line. After the singing of the Star Spangled Banner, the ride started promptly at 9:00 AM and Suzanna and I took off along with several hundred other riders doing the 50-mile route. One of the best parts of the ride, was the fact that we got to ride together the whole way. We finished the ride with my hand on Suzanna’s shoulder as the announcer announced our arrival, adding the fact that Suzanna was a cancer survivor. Survivors, in fact, had special status all weekend which was a fitting touch. At the start, signs naming each and every survivor rider lined Fairview Avenue. 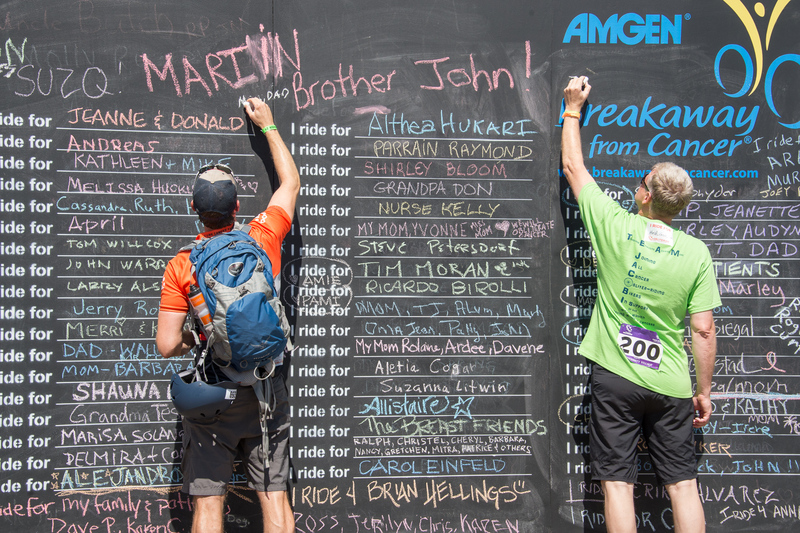 In all, over 1,000 riders participated in the event, raising (as of August 11th), over 1.8 million dollars for Fred Hutch! This number will undoubtedly go up between now and the end of September. What a great event for a great cause. 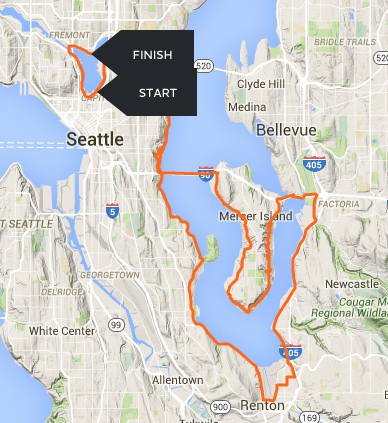 We are so glad we could be part of Obliteride 2015! Obliteride was a success because of all the generous donors. It’s not too late; you can still contribute to Obliteride until September 30th!